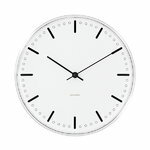 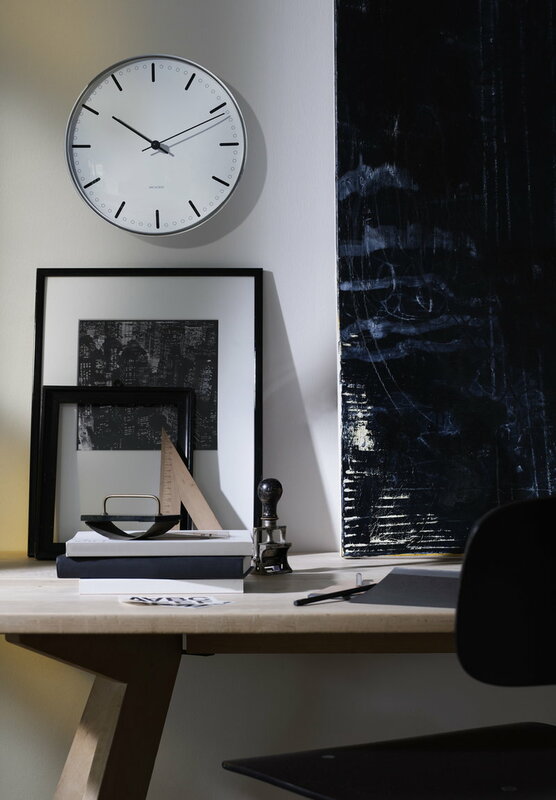 The AJ City Hall wall clock by Arne Jacobsen is a faithful reproduction of the minimalist clock the architect designed for the Rødovre Town Hall in 1956. 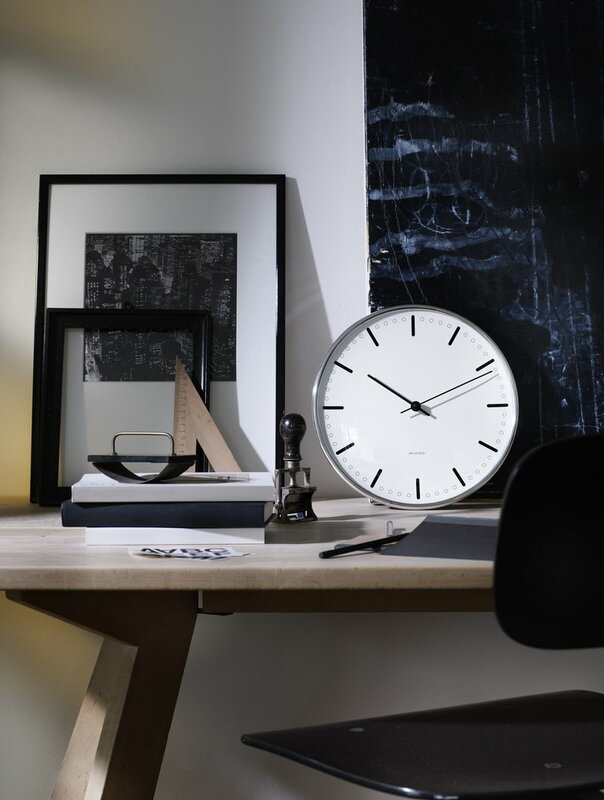 The elegant timepiece features reduced graphics and an aluminium case that gives the clock a floating appearance when mounted on the wall. 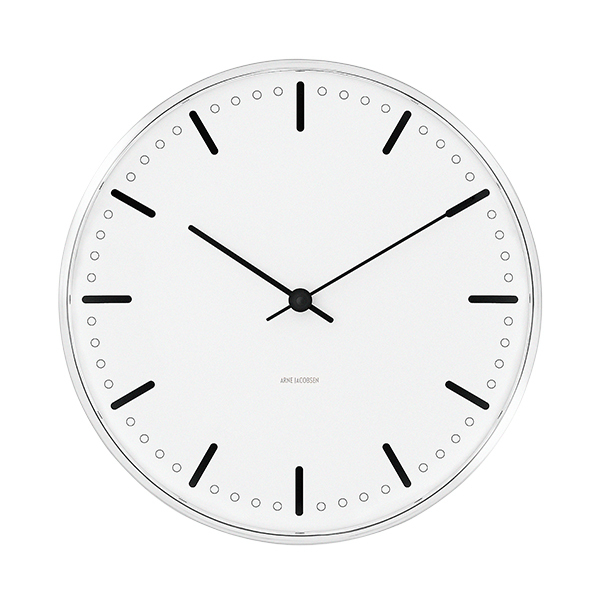 The AJ City Hall clock is available in three sizes.